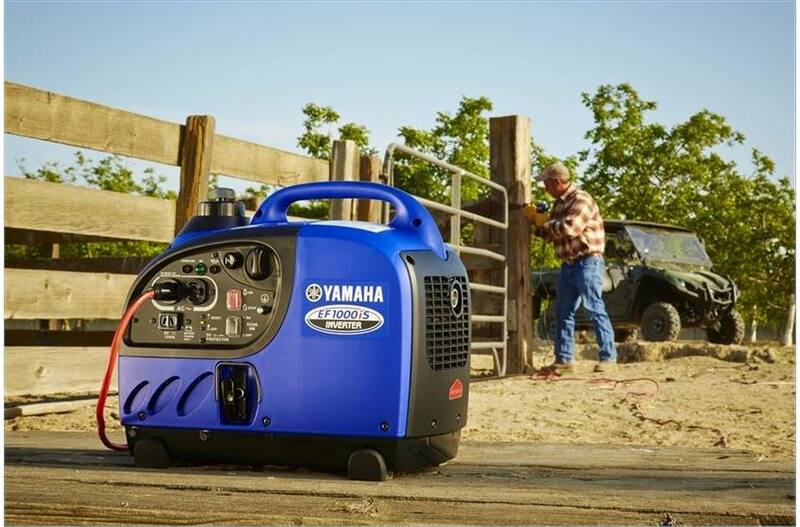 Quiet, fuel efficient, and power clean enough to run sensitive electronic equipment all in a portable 28‑lb package. 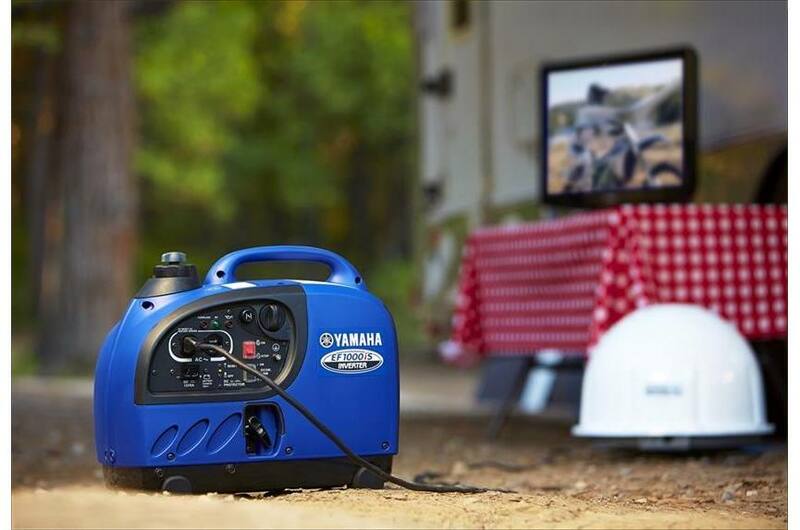 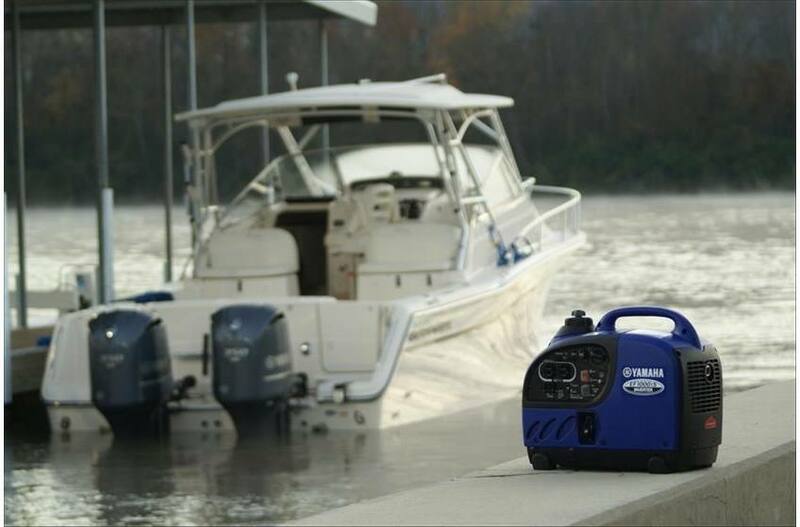 Noise Block is Yamaha's acoustically engineered sound reduction system which helps make the EF1000iS among the quietest portable generator in its class. 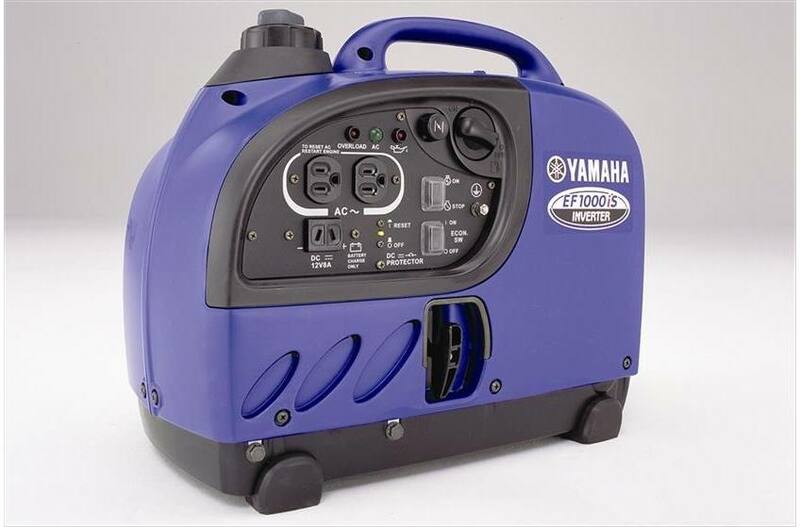 (47 dBA to 57 dBA - 1/4 rated to rated load). 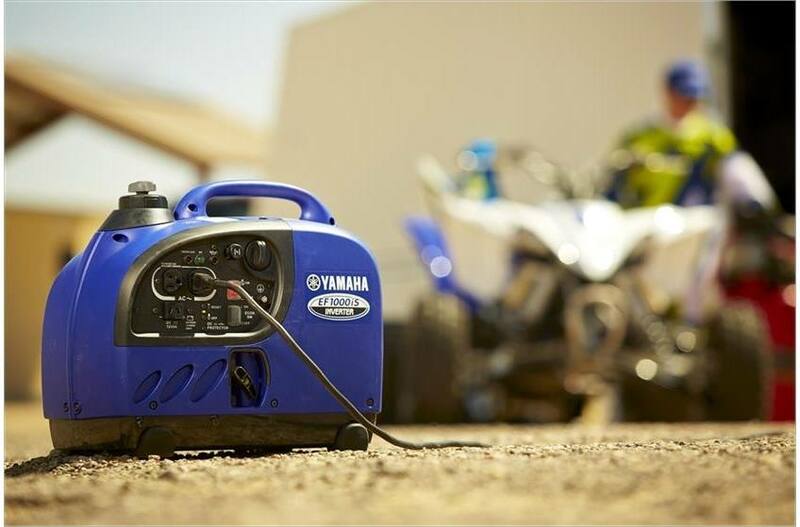 The EF1000iS features Smart Throttle, a load sensing rpm control that allows greater fuel efficiency and noise reduction by automatically adjusting engine speed to match the load. 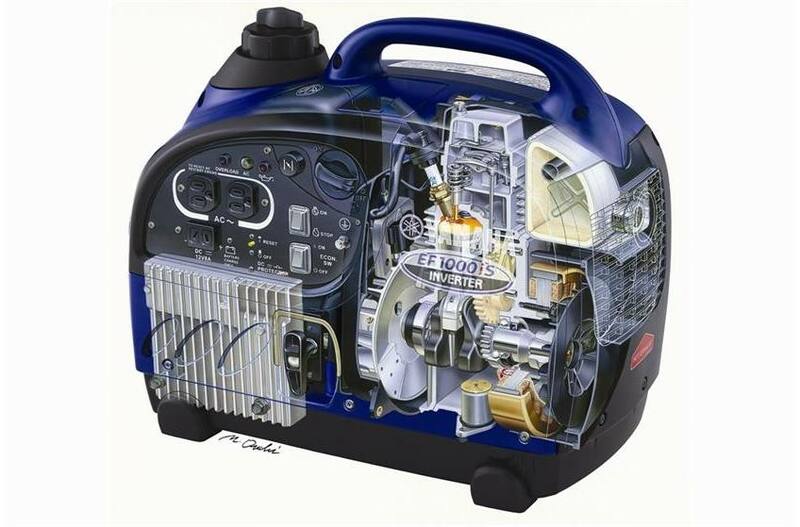 It will run up to 12 hours at 1/4 rated load on a tank of gas. 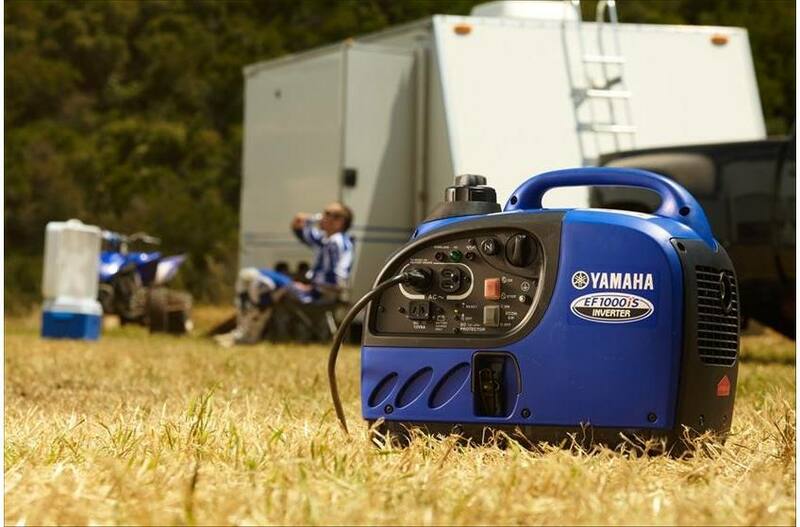 The Yamaha EF1000iS inverter generator supplies clean, high quality power. 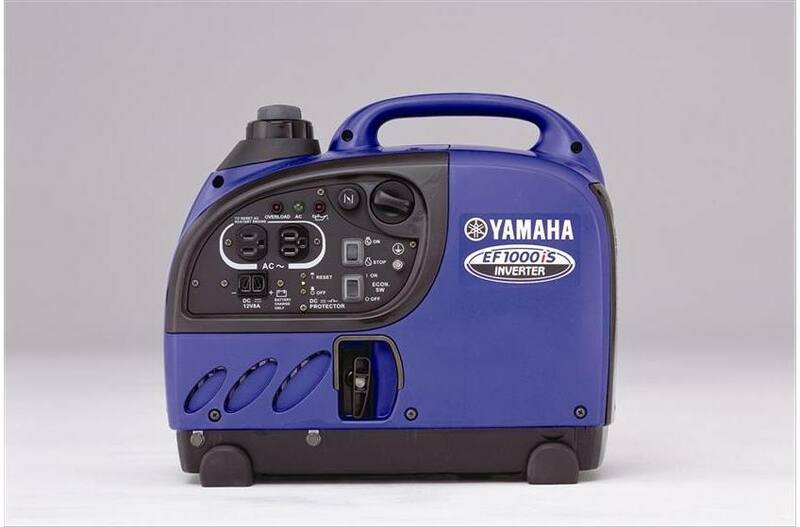 The EF1000iS - with its inverter system - features Pulse Width Modulation (PWM) so voltage stability is within ± 1%, and frequency stability is ± 0.1 HZ. 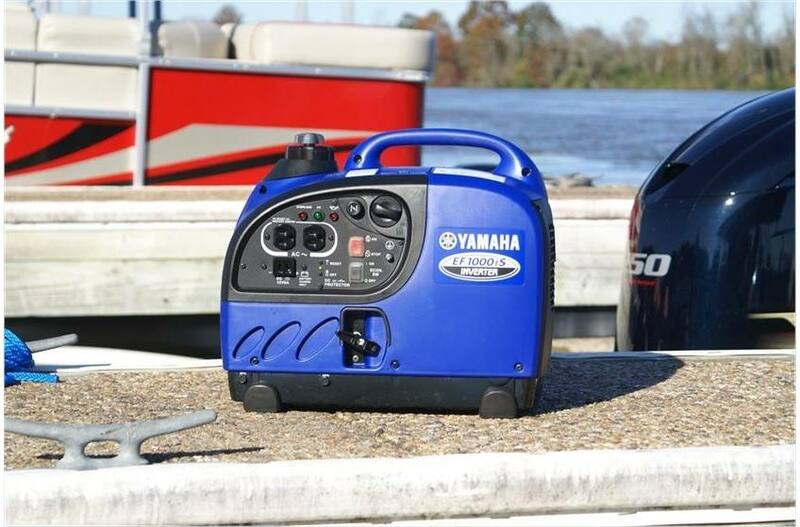 Its pure sine wave is as clean as or cleaner than public utilities power. 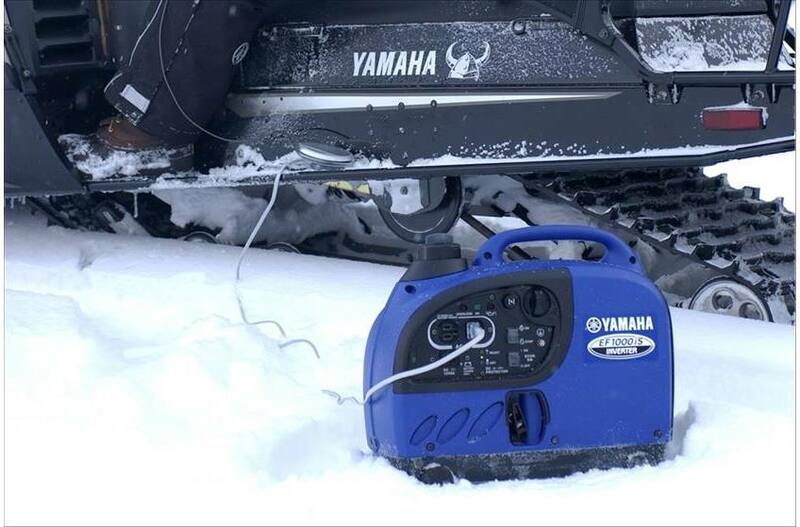 Yamaha's Oil Watch Warning System helps prevent engine damage from low oil and provides added peace of mind..
12 Volt DC output, battery-charging cables included: — Recharge 12-volt batteries for RV, auto, marine, etc. 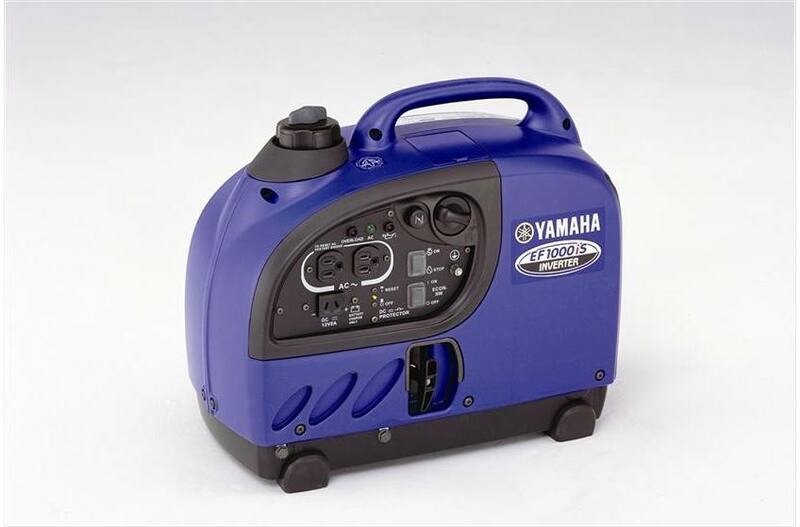 L x W x H: 17.7 x 9.4 x 14.9 in.